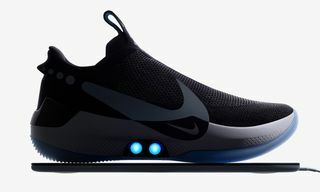 YouTube sensation and new CNN impresario, Casey Neistat, has once again become the envy of sneakerheads everywhere after unboxing a pair of the Nike HyperAdapt – which feature a self-lacing system – and left the jovial filmmaker equally impressed as when he unboxed the Nike MAG. The shoes particularly resonated with Neistat after Nike officials explained to him that what he viewed as excess and unnecessary – self-lacing technology – was actually created in large part to accommodate those with conditions like cerebral palsy or Lou Gehrig’s disease which often doesn’t allow people the proper dexterity to tie their own shoes. 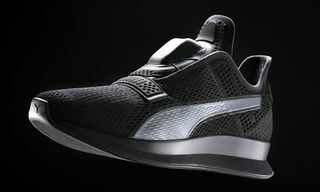 The shoes themselves were inspired by Matthew Walzer —a 16-year-old from Parkland, Florida — who sent Nike CEO Mark Parker a letter in 2012 explaining his own battle with independence and his desire to find self-lacing shoes. 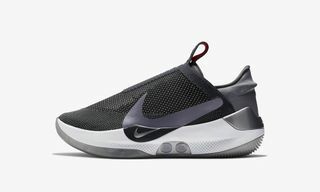 For those wanting to get their hands on a pair of the Nike HyperAdapt – whether for personal use or for a friend/family member who could benefit from the technology – head over to Casey Neistat’s YouTube channel and leave a comment. For more sneaker stories with a humanitarian feel, check out 18 other sneakers that will restore your faith in humanity.